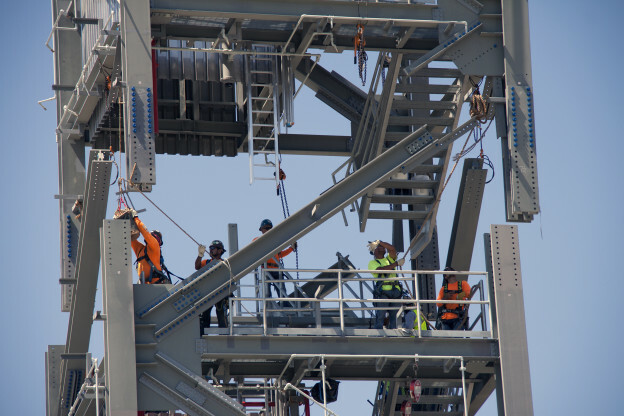 The steel lattice column that will become the Crew Access Tower for Boeing’s CST-100 Starliner spacecraft continues its methodical rise at Space Launch Complex-41 where four of seven sections of the tower have been stacked. 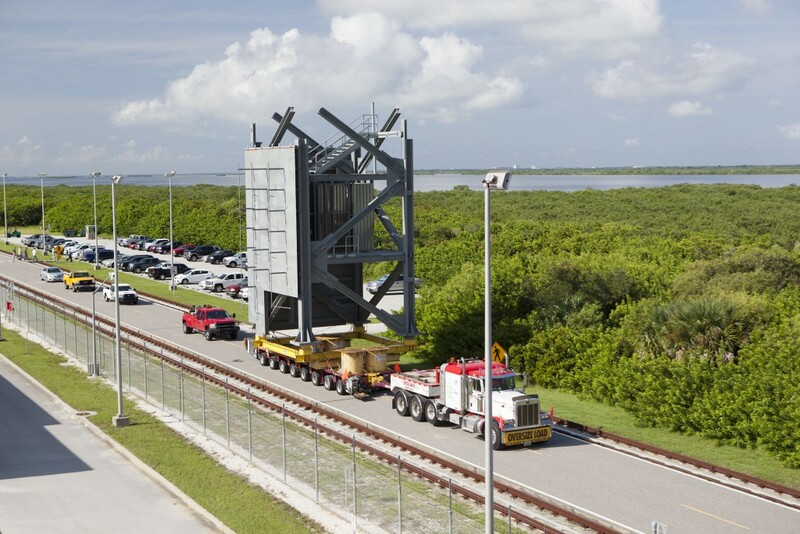 Built four miles south, each section or tier, is being trucked to United Launch Alliance’s Atlas V launch pad where a crane lifts it into position. The tower will reach about 200 feet high when it’s finished. Even after stacking is complete, the team will have plenty to do to outfit it for launch, including installing the elevator, white room, crew access arm and infrastructure lines. 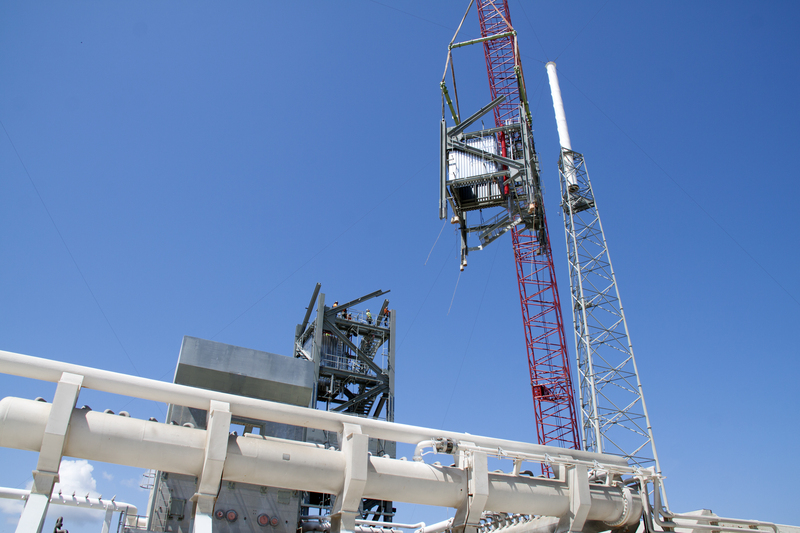 Since SLC-41 remains an operational facility while the tower is built, work on the tower is taking place between Atlas V launch operations. Launch day is a finish line of sorts for Karen Reilley, a NASA attorney based at the agency’s headquarters in Washington, D.C., who was recently recognized with a Silver Achievement Medal for her work with the Commercial Crew Program. Working for months on contracts and then sometimes years through design and processing details, Reilley enjoys the captivating nature of a liftoff as much as anyone, but gets the added flavor of having played a role in helping the rocket leave the ground. After working with the complexities of the Commercial Crew Transportation Capability, or CCtCap, contracts awarded last year to Boeing and SpaceX, Reilley gets closer every day to seeing the first Commercial Crew flight tests launch. Those will lead to operational missions taking astronauts to the International Space Station where they can enhance the research performed above Earth every day with an eye on making NASA’s journey to Mars a success. Those first flights will be significant milestones for NASA because the development roadmap for commercial crew has been significantly different than previous human-rated spacecraft development. Because the approach was new, with NASA seeking industry partnerships from component design to complete space systems, the agency tried to build on the previous successful contract architectures from commercial cargo transportation arrangements. 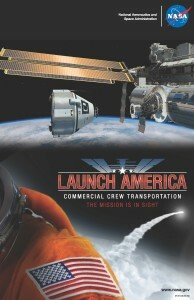 The agreements used by NASA’s Launch Services Program were also consulted. “Each time NASA does one of these contracts, it really builds on each other,” Reilley said. 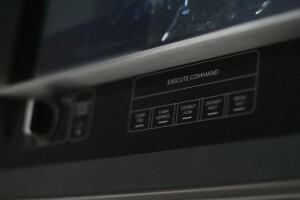 Another complicating element is the involvement of other agencies to a greater degree than before, especially the Federal Aviation Administration, or FAA. 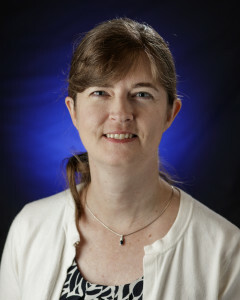 Reilley came to NASA in 1995, when she accepted a position in the legal office at Langley Research Center in Hampton, Virginia. Close to her law school alma mater at the College of William & Mary in Williamsburg, Virginia, Langley would offer Reilley a chance to work closely with aerodynamic research agreements. Later she worked at Johnson Space Center in Houston where she garnered spaceflight expertise before moving to Washington, D.C.
“I’ve seen the space exploration side, the aero side and the science, which has been a fabulous experience,” Reilly said. A year after awarding landmark contracts to Boeing and SpaceX to build a new generation of human-rated space systems, NASA’s Commercial Crew Program has made great strides to re-establish America’s capability to launch astronauts to the International Space Station. 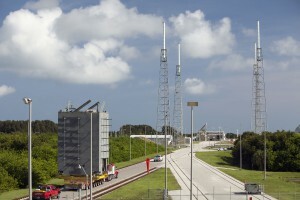 Both companies are constructing the infrastructure needed to safely launch and operate crew space transportation systems. 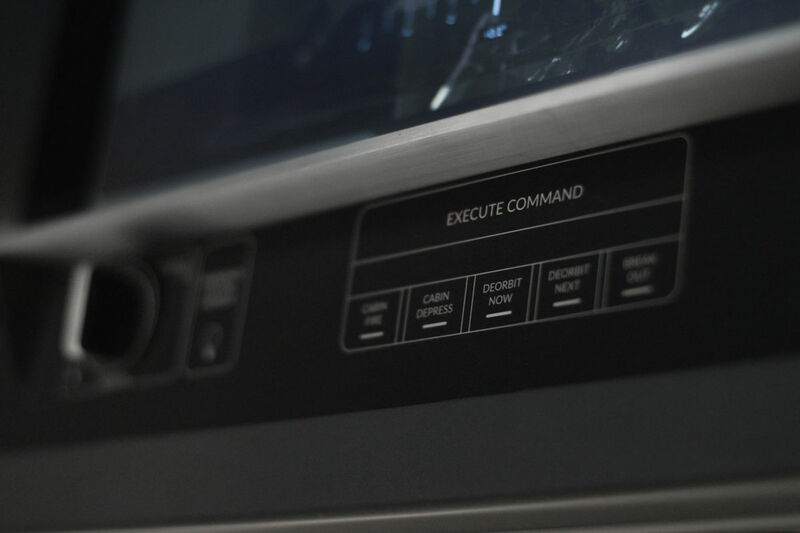 They also have offered detailed refinements to their designs and begun building the test vehicles that will be put through extreme analysis before their flight test regimens begin. These accomplishments set the tone for the next two critical years that will culminate with operational missions to the International Space Station carrying up to four astronauts. They will increase the amount of time dedicated to research on the orbiting laboratory, solving the problems of long duration spaceflight so astronauts can make a successful journey to Mars in the future. Welcome to Florida, Blue Origin! Blue Origin set the stage today at Cape Canaveral Air Force Station for assembling and flying its rockets and spacecraft from Florida’s Space Coast and we could not be more thrilled to have them as neighbors! Blue Origin and NASA’s Commercial Crew Program began working together on the company’s booster and spacecraft systems in 2010 when NASA selected Blue Origin as one of five companies funded for early developmental work on their own projects under Space Act Agreements. That first partnership with Blue Origin covered design work on a pusher-style launch abort system and composite pressure vessel for the company’s spacecraft. A second round of agreements continued development of both the launch abort system and spacecraft, along with developing a propellant tank and the hydrogen- and oxygen-fueled BE-3 engine. Blue Origin’s newest engine, known as the BE-4, will power the company’s reusable boosters as they loft spacecraft on orbital flights on a variety of missions. 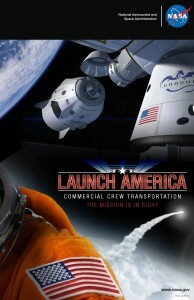 Taken together with continuing advances by NASA’s other commercial crew partners including Boeing, SpaceX and Sierra Nevada Corporation, a new generation of American-made systems is on the verge of opening space travel to more people than ever before! 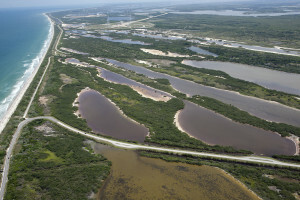 Author Steven SiceloffPosted on September 15, 2015 September 18, 2015 Categories Blue Origin, CCDev2, Commercial Spaceflight, General, NASALeave a comment on Welcome to Florida, Blue Origin! 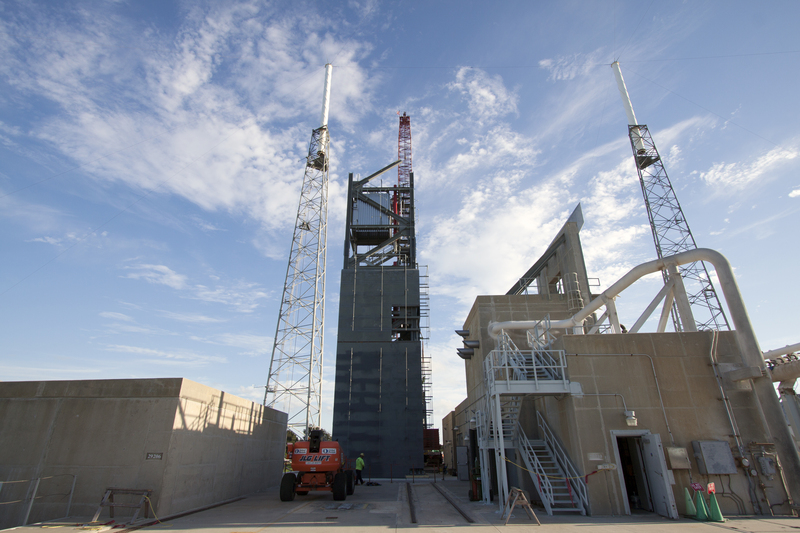 The new face of the Commercial Crew and Cargo Processing Facility (C3PF) is complete. 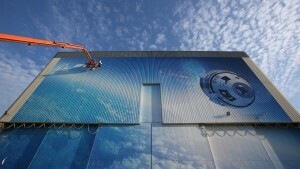 Workers placed the finishing touches of the building-sized mural on the rounded edges of the former Orbiter Processing Facility-3 at Kennedy Space Center in Florida earlier this week. The image of Boeing’s CST-100 Starliner orbiting above Florida highlights the C3PF’s role as the assembly and processing home for the company’s next-generation human-rated spacecraft. 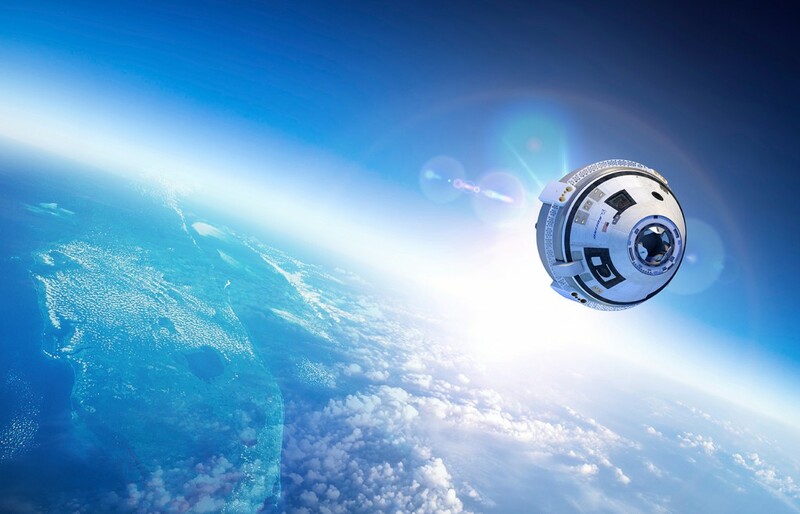 The Starliner is being built in partnership with NASA’s Commercial Crew Program to re-establish America’s ability to launch astronauts to the International Space Station from Florida’s Space Coast. Spacecraft built in the C3PF will be launched into space from nearby Space Launch Complex-41 aboard United Launch Alliance Atlas V rockets. 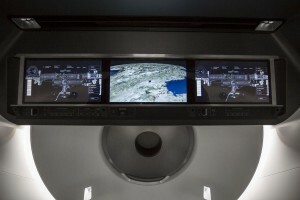 NASA also is working with SpaceX on the Crew Dragon to take astronauts to the station. 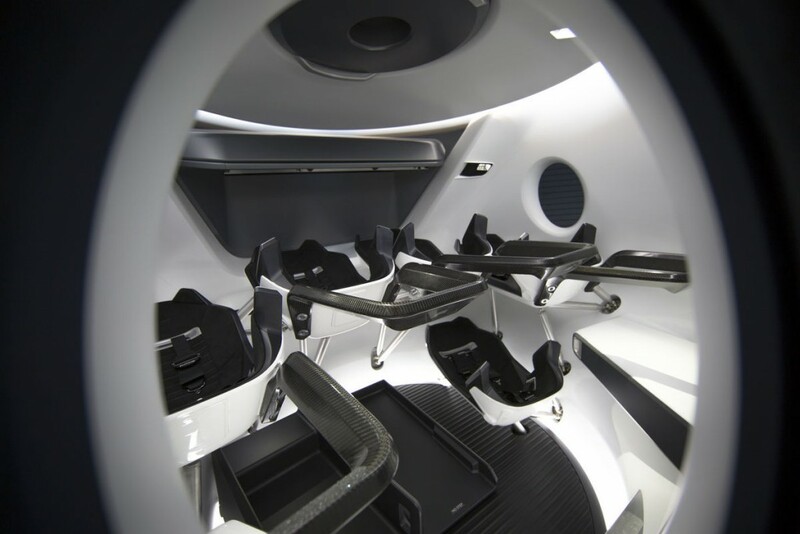 Have you ever wondered what it will be like to be an astronaut flying aboard the Crew Dragon to the International Space Station? Check out these interior photos and videos from SpaceX that give us a glimpse of the astronauts’ inside view. 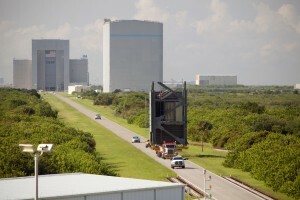 The first new Crew Access Tower at Cape Canaveral Air Force Station in Florida since the Apollo era will take shape at Space Launch Complex-41 in the coming days as workers moved the first two tiers from a nearby construction yard to the pad surface. 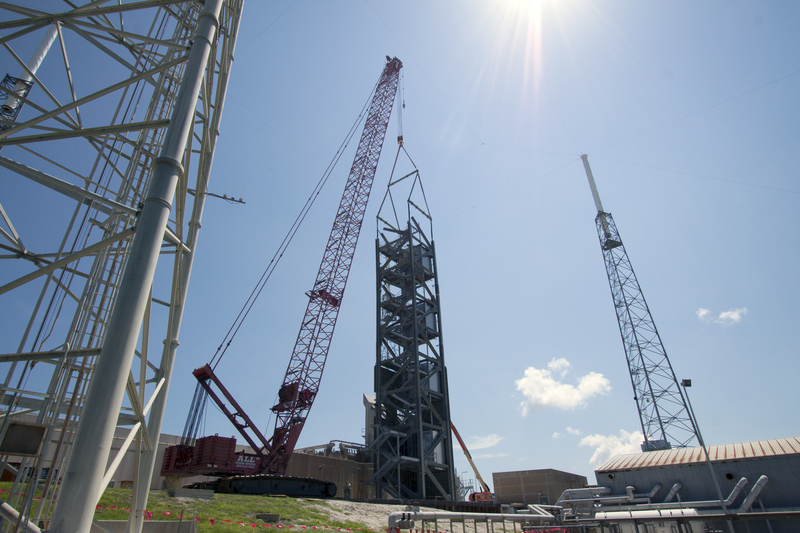 The tiers will be lifted into place atop each other at the foot of the launch pad starting next week. Boeing and United Launch Alliance are building the tower which is a critical element for the launch pad as it is converted from a pad that serves only uncrewed missions to a complex that can safely accommodate the needs of flight crews along with their ground support teams for CST-100 Starliner missions. The Starliner is under development in partnership with NASA’s Commercial Crew Program, along with the SpaceX Crew Dragon, to take astronauts to the International Space Station from Florida’s Space Coast. Designed with modern data systems, communications and power networks integrated and protected from blast and vibration, plus an elevator, the Crew Access Tower has been built with several features only a fully suited astronaut could appreciate, such as wider walkways, snag-free railings and corners that are easy to navigate without running into someone. The tower will also be equipped with slide wire baskets for emergency evacuation to a staged blast-resistant vehicle. The segments were assembled about four miles away from the launch pad so workers wouldn’t be idled by launch preps for United Launch Alliance Atlas V rockets. 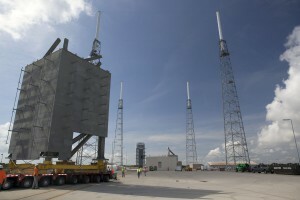 The tower will be stacked just to the side of the hard stand at SLC-41 where the boosters lift off. It will take seven tiers to complete the more than 200-foot-tall tower. 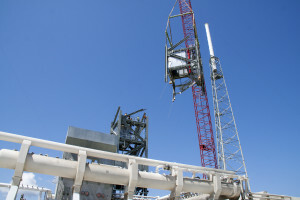 A swing-out walkway bridge will be added later to connect the tower to the hatch of the Starliner so astronauts can climb aboard the ship as it stands at the pad before launch. The tower construction marks the latest in a quick succession of events for Boeing’s Starliner program. The company opened the Commercial Crew and Cargo Processing Facility last week for use as the Starliner production and processing base and just completed the mural on the front of the building showing the spacecraft orbiting above Florida. The upper and lower dome assemblies arrived earlier this year for the Starliner’s Structural Test Article which is being built and processed as a pathfinder for the program and will be put together just as an operational spacecraft would before it goes into exhaustive testing to the prove the design. The wait is over! Boeing’s next-generation spacecraft has a new name! A fleet of CST-100 Starliners will give the United States crew access to the International Space Station, launching from Florida’s Space Coast atop United Launch Alliance Atlas V rockets on NASA Commercial Crew Program flights. Read details about the spacecraft and today’s grand opening of the C3PF, where the Starliners will be assembled and processed for flight. Author Steven SiceloffPosted on September 4, 2015 September 4, 2015 Categories Boeing, CCtCap, Commercial Spaceflight, General, International Space Station, Kennedy Space Center, NASA, NASA AstronautsLeave a comment on Meet the Starliner! Watch C3PF Grand Opening at 10 A.M.
Boeing is unveiling a new name for its CST-100 spacecraft along with the factory floor space where the structural test article is already coming together during a ceremony at the Commercial Crew and Cargo Processing Facility here at NASA’s Kennedy Space Center in Florida. The event begins at 10 a.m. ET and will air on NASA TV, which you can watch here on the blog or in a separate window. 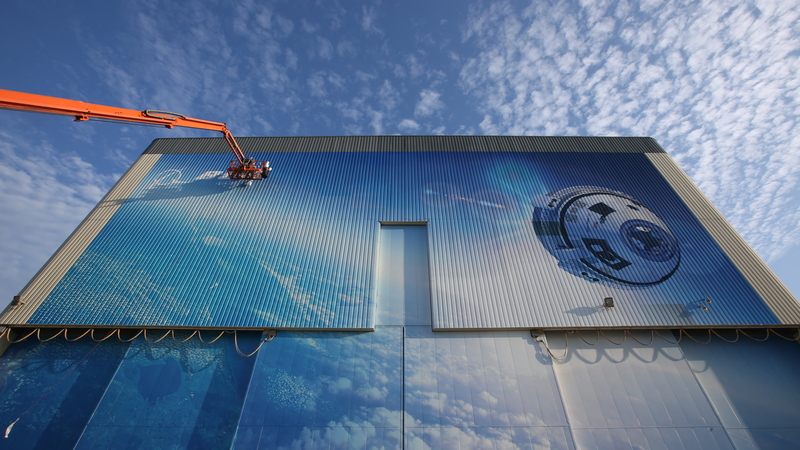 The high bay of the C3PF, which used to be called Orbiter Processing Facility-3, is still under construction but a new mural over the front of the building showcases the facility’s role in building and processing a new spacecraft for the next generation of human-rated spaceflight. Author Steven SiceloffPosted on September 4, 2015 Categories Boeing, CCtCap, Commercial Spaceflight, General, International Space Station, Kennedy Space Center, NASALeave a comment on Watch C3PF Grand Opening at 10 A.M.